Looking to have some fun with photos? This is the popular follow-up to TheScrabbleGal’s: Original Scrabble Tile Tutorial. 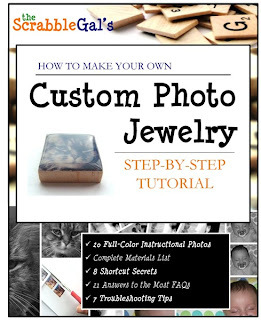 In this guide, you’ll learn everything you need to know to make your very own gorgeous Custom Scrabble Tile Photo Jewelry (including Scrabble tile pendants, Scrabble tile cufflinks and MORE) – TheScrabbleGal way! What are you waiting for? Join in the fun today!